Is there a way to add page number to the merged PDF file by using A-PDF Merger? I want to add page number to the merged PDF file. However, I don't know how to do it by using A-PDF Merger. Is there any way for me to do it with ease? With A-PDF Merger, you are able to add page number to the merged PDF file easily in minutes. 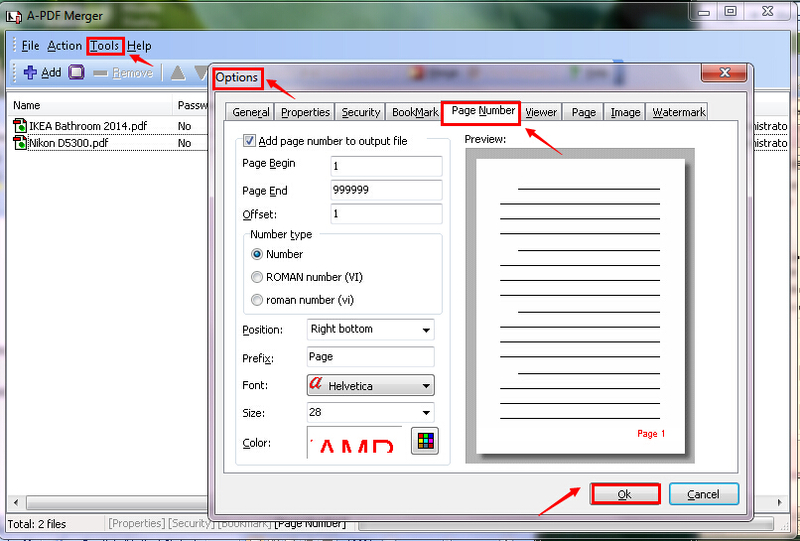 Step 1: Launch the program and then click the "Add" button to select the PDF files. 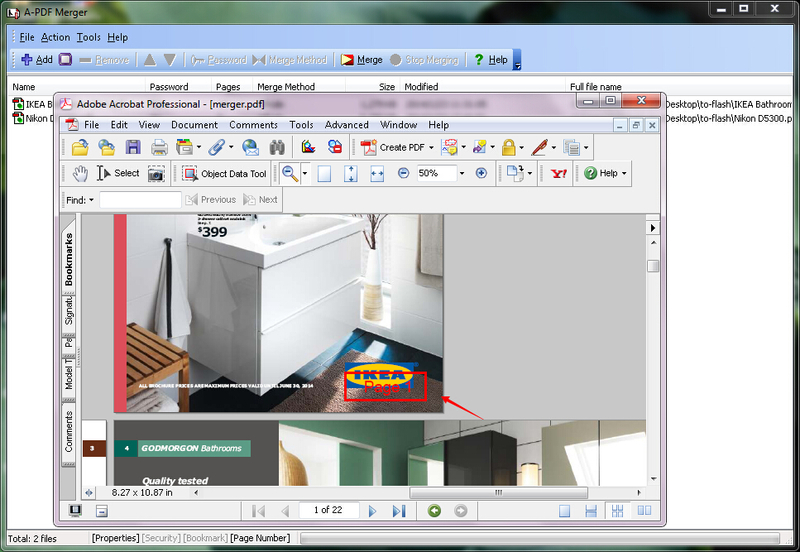 Step 2: Click the "Tools" button and then click the "Options" tab. You will see the "Options" interface pop up. Step 3: Click the "Page Number" tab. You are allowed to add page number to the output file. You can set the "Number type", the "Position", the "Prefix", the "Font", the "Size", the "Color", etc. Click the "OK" button after you finish customizing the page number. Step 4: Click the "Merge" button. 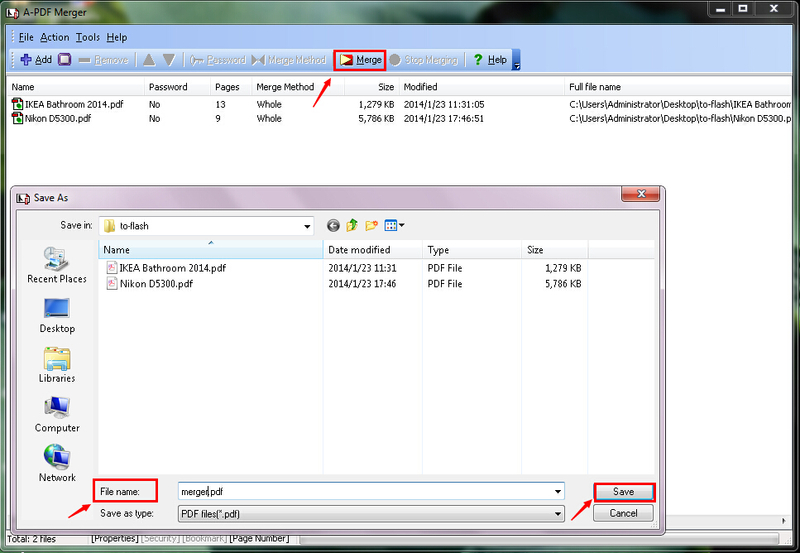 You need to fill the file name and then click the "Save" button. 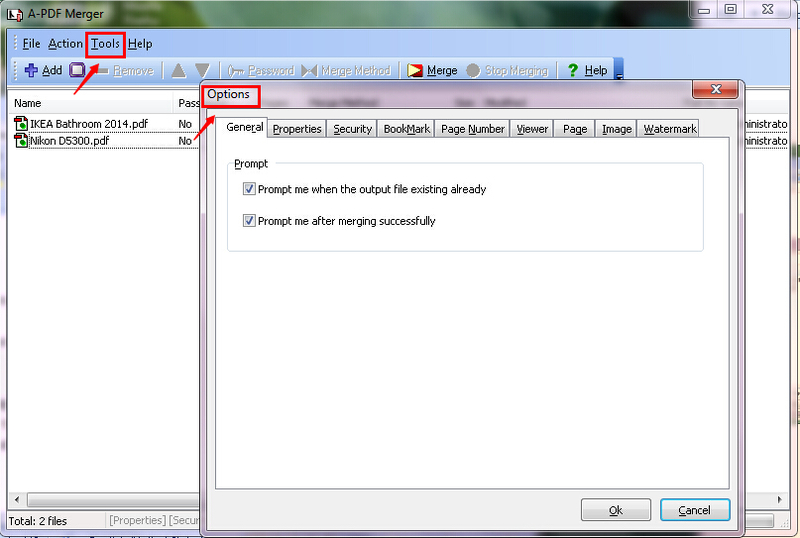 Step 5: Click the "Yes" button to view the newly merged PDF file. You can find the newly added page number.